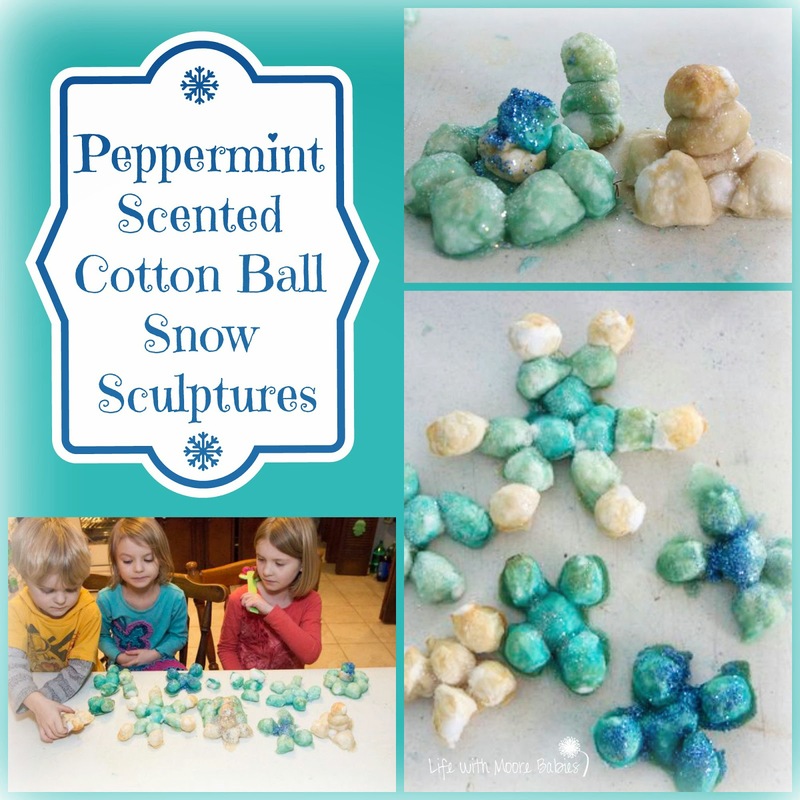 For some wintry fun, the kids made peppermint scented snowflakes and snowmen out of baked cotton balls! This isn't the first time we have played with baked cotton balls, but it is the first time we specifically used them for art! Head over to Enchanted Homeschooling Mom to see how we made these wintry creations!